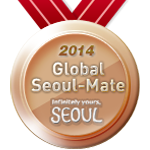 To get to Gamcheon Culture Village, take the subway and get off at Toseong Station. My home base in Busan was in Seomyeon and since both Seomyeon and Toseong Stations are both in Line 1, I did not need to transfer subway lines. It took me about 15 minutes to get to Toseong and the subway fare is 1,200won. At Toseong Station, look for Exit 6. When you get out of Exit 6, you will immediately see a road intersection. Walk towards it and turn right. 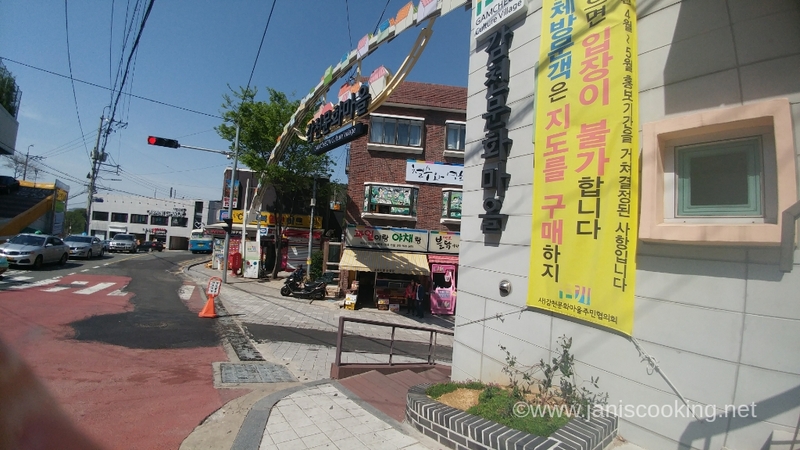 As you walk, you will see the Pusan National University Hospital Building at the right side of the road. Continue walking until you see the bus stop where that green bus is. The bus numbers you need to take are either Saha 1-1, Seogu 2, or Seogu 202 and they will drop you off at Gamcheon Elementary School. They’re local buses which are smaller than the city buses. You can pay in cash or use T-Money. 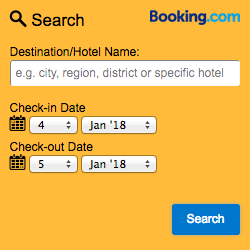 However, the intervals for which the buses arrive at the bus stop are quite long and sometimes, the bus may be full so taking the bus might not be a time-efficient option if you have a packed itinerary. My suggestion is to take a cab which I did and in less than 10 minutes, traffic permitting, you’ll be at the entrance of Gamcheon Culture Village. The taxi fare I paid amounted to around 3,200 won. 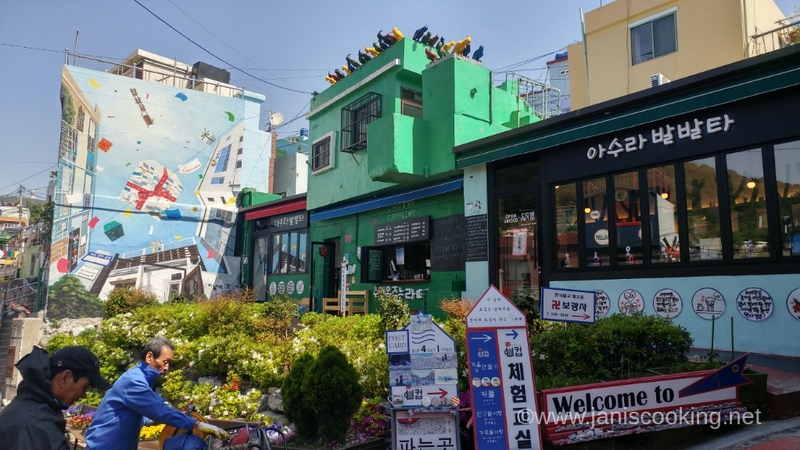 I highly suggest getting a cab from Toseong Station especially if you are in a group of at least 3 persons because the taxi fare to Gamcheon Culture Village will turn out cheaper than paying individual bus fares plus it will get you to the village faster than if you wait for the next bus. I got a cab only from Toseong Station. 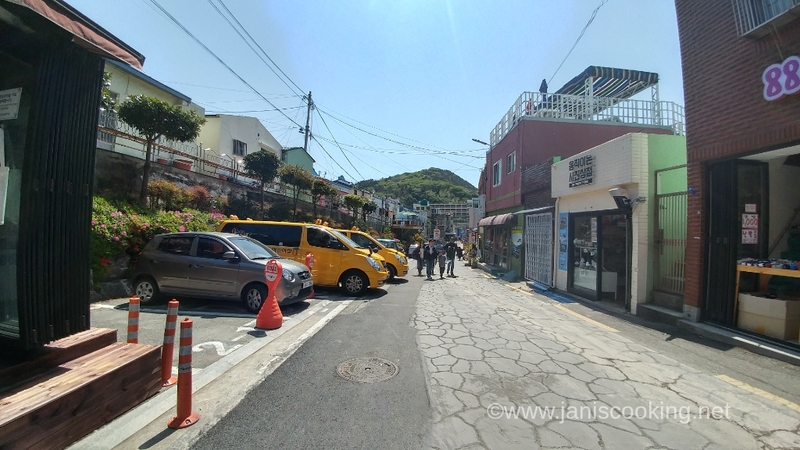 I’m not sure how much the taxi fare will be if I just went to the village straight from Seomyeon. If, however, you are coming from Busan Station, you can already get a cab from there and the fare will be around 4,800 won. That’s the amount I paid when I went back to Busan Station from Gamcheon Culture Village. That’s the entrance to the village. 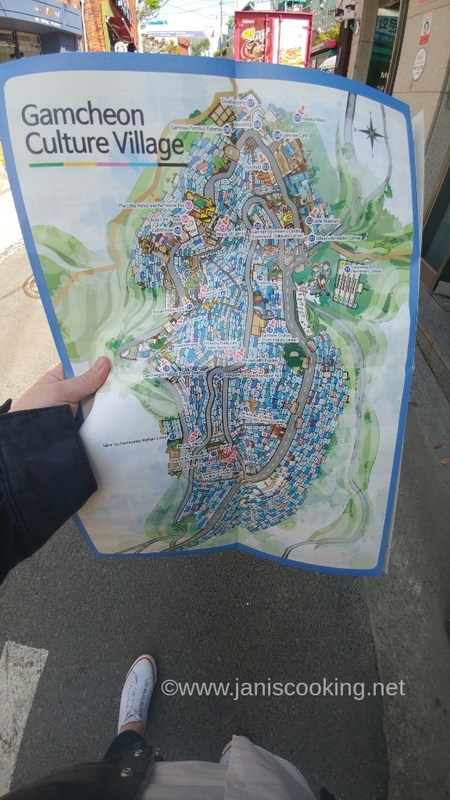 Entrance is free but should you want to get a map, the cost is 2,000 won. Turn right at the archway and you’ll find the tourism office at the right. Aside from the map, you will also be given a card to put stamps on if you visit certain locations. If you complete the stamps, you’ll be getting a reward or something. I didn’t intend to spend a lot of time there so I just got the map. The photos below were primarily taken from the main road. 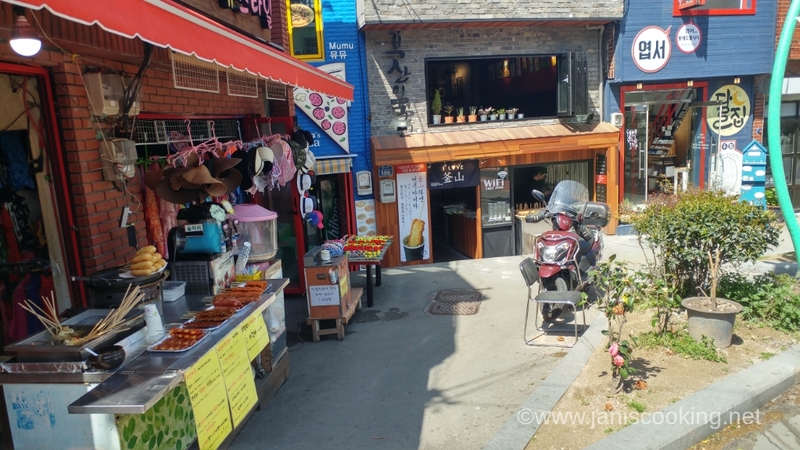 I didn’t go through the alleys but I did enter some shops and cafes to get a better view of the village. I don’t understand what the hype is all about but tourists take photos of those birds and it seems like it’s a popular thing to do. There are plenty of shops selling snacks so you won’t really go hungry as you go around the area. Everybody would like to get a photo with that fish as the background. I found it challenging because there were too many tourists and most of them don’t seem to understand the meaning of waiting for your turn. Rather than having my photo taken with the fish, I just took a photo of it while standing at the other side of the road. 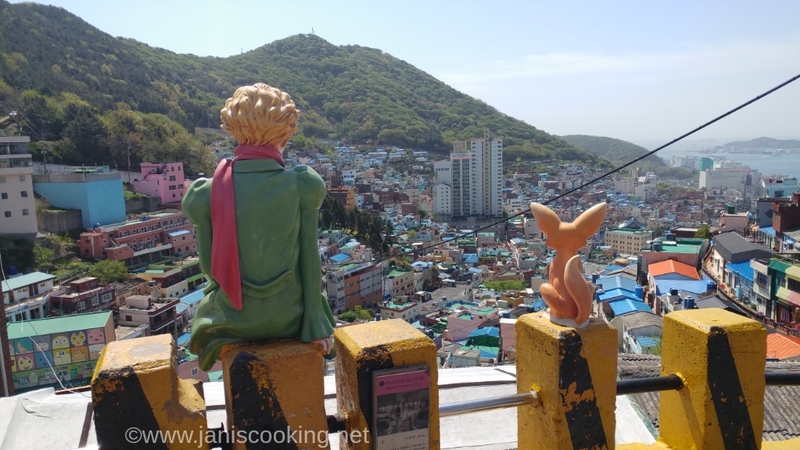 By following the map, you’ll find this famous spot of The Prince overlooking Gamcheon Culture Village in no time. This is a popular photo spot. As you might have read elsewhere, the drill here is that you will sit beside the Prince, put your arm around him, tilt your head towards his head or rest it upon his shoulder, look far away, and have your companion take that shot from behind. The line for a photo with The Prince was long so I decided to skip it. Also, it was too much of a production number for a solo traveler and I was so scared at the thought of sitting beside him which is dangerous, by the way. Just thinking about it is making my knees wobble. Anyhow, if you plan to sit beside The Prince, just be very careful. 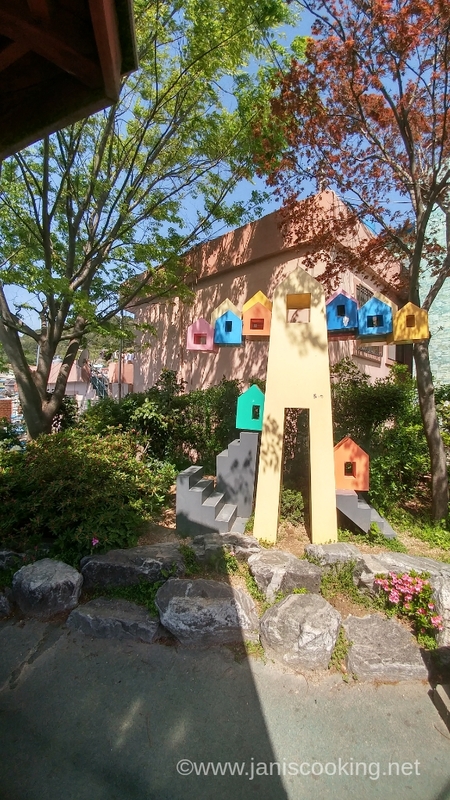 Getting a good feel of Gamcheon Culture Village can be done in an hour, I think. However, if you want to spend some time in a cafe or discover more hidden gems in the alleys, then prepare to be there for at least 2 hours. 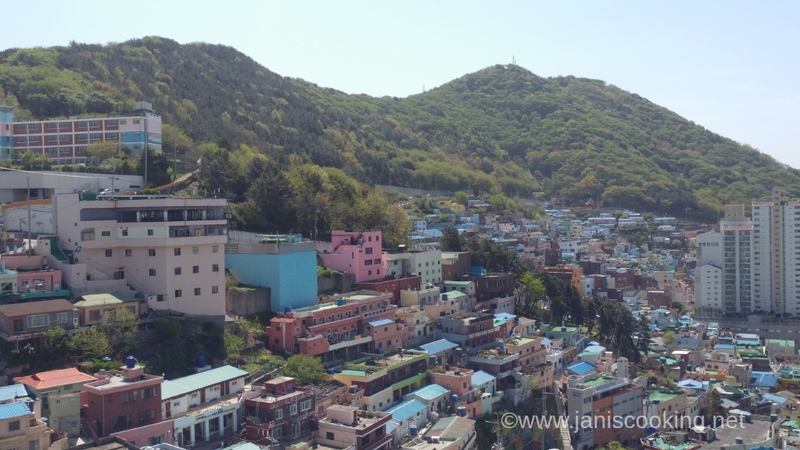 To wrap up this post, I am sharing the video above which is just a quick preview of the village when I visited last April. Hope this post helps. 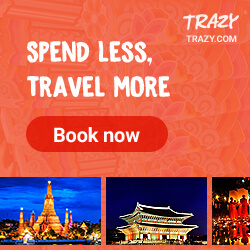 Til my next one, Annyeong! 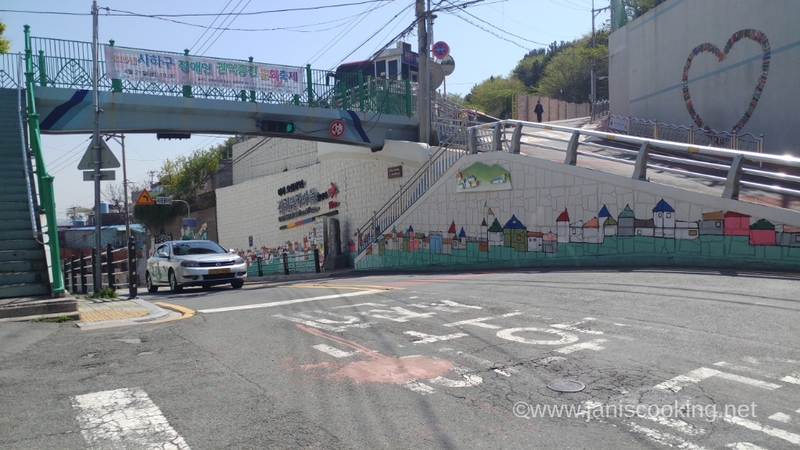 From Goejeong Station: Goejeong Station (Busan Subway Line 1), Exit 6. 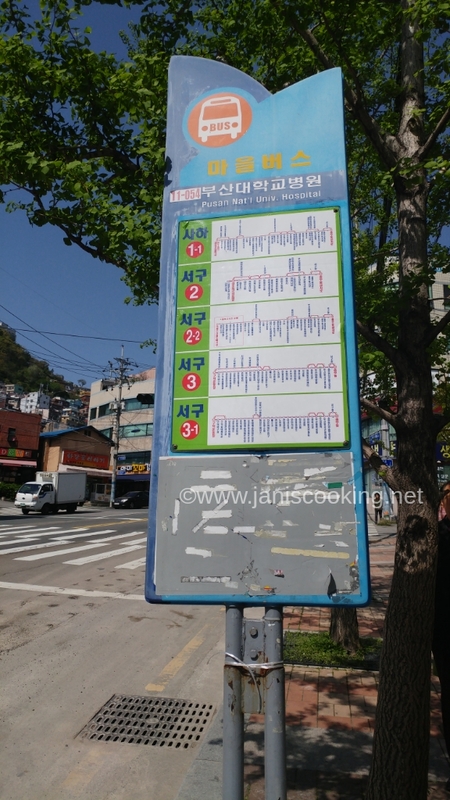 Take local bus Sakha 1 or Sakha 1-1 to Gamcheon Elementary School Bus Stop. From Toseong Station: Toseong Station (Busan Subway Line 1), Exit 6. Take local bus Saha 1-1, Seogu 2 or Seogu 2-2 to Gamcheon Elementary School Bus Stop. By Taxi: From Busan Station, taxi fare is around 4,800 won. From Toseong Station, taxi fare is around 3,200 won. 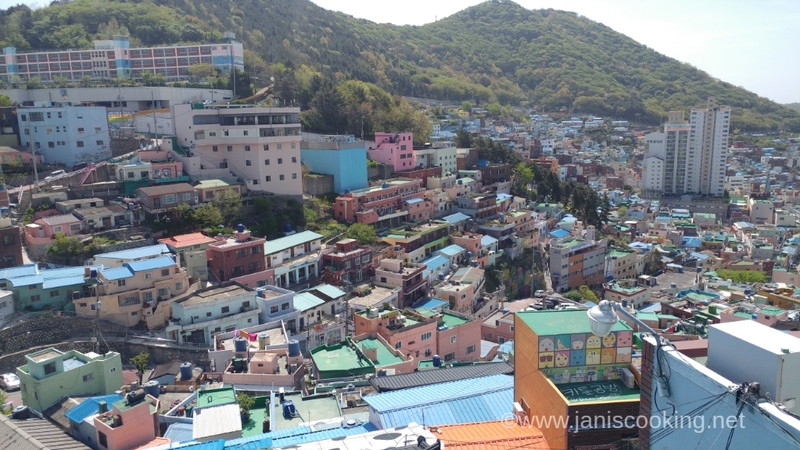 The cultural village does look nice and seems to show the way korean people live over there. 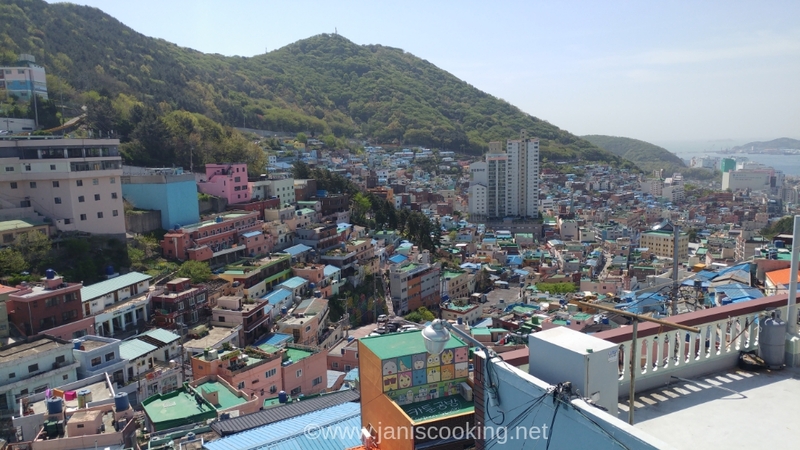 Are the people in Busan generally more reserved than Seoul? Hi, Bhalimking. Sorry for the late reply. I was not able to give people’s behavior much observation but the people in Seoul appear to be busier and always on the go. 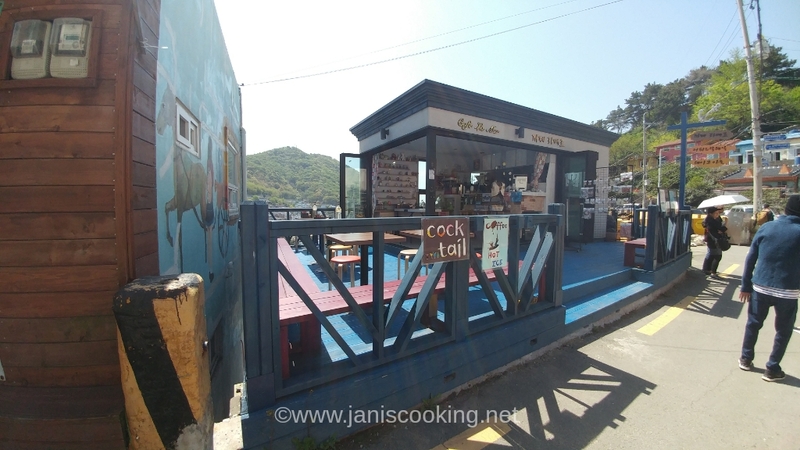 Those in Busan, while it’s a big city too, appear to be more laid back.